Harrison Steeve's is known for his foam fly patterns. There are a number of his flies that are staples around here and have been for many years. You can now add the Masquerade Caddis to that list. The Masquerade Caddis comes to us from one of our favorite fly designers, Harrison Steeve. We absolutely love this fly! It ranks right up there with some of the best.....Butch Caddis, Goober Caddis etc. Caddis are wildly important to us around here, as they surely are to you as well, and this fly should be in your regular line-up. Harrison Steeve is known for his foam fly patterns. There are a number of his flies that are staples around here and have been for many years. 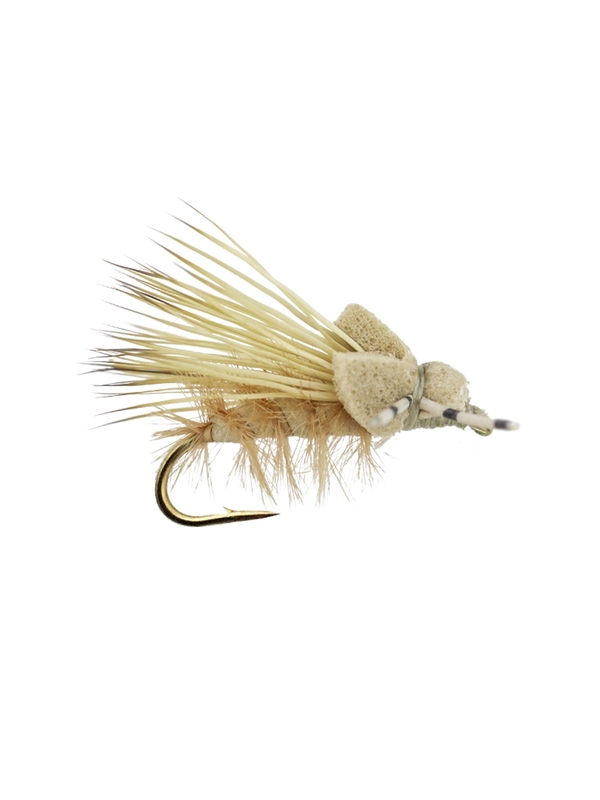 You can now add the Masquerade Caddis to that list. He basically took the legendary Elk Hair Caddis and IMPROVED it!!! Adding some foam and micro grizzly legs to the head, this is now a "go-to" caddis pattern and needs to be in your fly box.